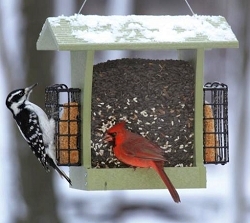 Decorative and Functional Bird Shaped Feeders! 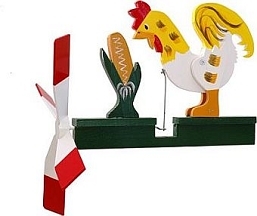 Hand-made at an old order Amish homestead, these unique wooden bird shaped feeders are meticulously handcrafted from quality materials! 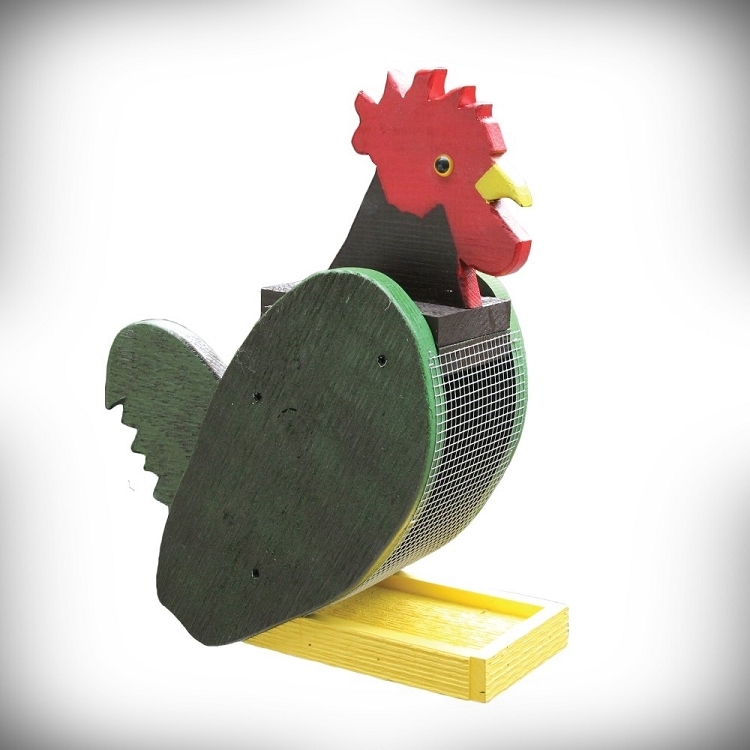 Bring your favorite birds flocking to your garden with this wonderfully designed bird feeder! 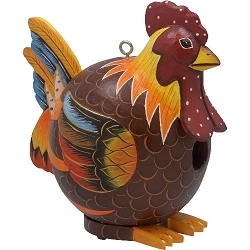 Eye-catching and beautiful, this delightful hanging bird feeder in the shape of a Rooster brings joy and birdsong to the garden or porch. 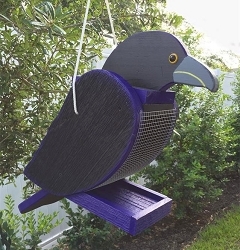 Each feeder is lovingly handcrafted from solid wood by an Amish woodworker in Pennsylvania, so you can expect years and years of enjoyment from each of these beautiful birds. 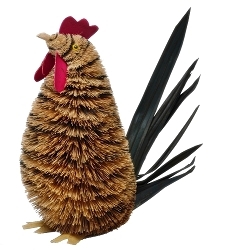 They're big, they're beautiful, and they're made to last! 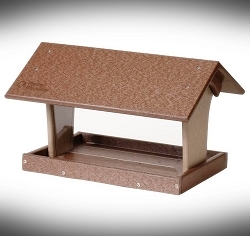 Built for year-round exposure to the outdoors, every bird feeder is built with quality wood, aluminum hardware, construction-grade exterior screws and sealed with exclusive color exterior-grade paints. 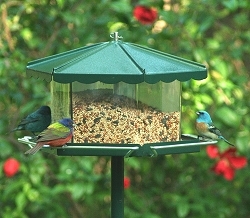 The feeders feature a hidden opening covered with a hinging lid for easily dispensing the birdseed. 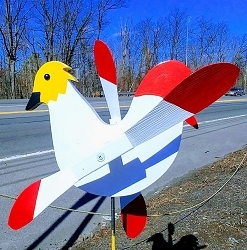 And best of all, they have proven to attract birds of their color as well as many other local songbirds. 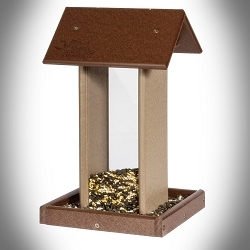 This large hopper style feeder filters seed into the angled tray for easy seed access. 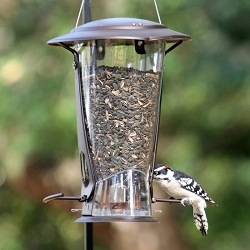 Birds may also cling to the mesh screen to eat, while the tail extends for additional balance. 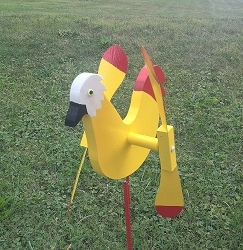 Includes braided hanger. 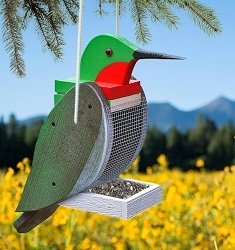 These unique bird feeders make wonderful gifts for backyard birding enthusiasts. Proudly made in the USA! 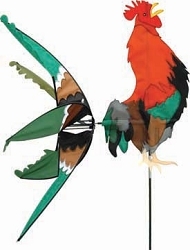 Bird Styles Available: Bluebird, Blue Jay, Eagle, Cardinal, Goldfinch, Hummingbird, Oriole, Owl, Raven, Robin, Rooster (shown), Seagull, Woodpecker and more. 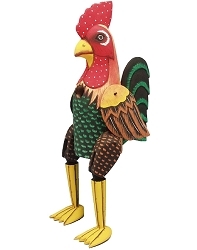 Sit back as feathered friends and garden visitors alike delight its unique, adorable design. 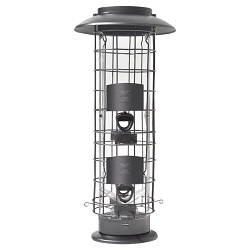 Birds that use this feeder include cardinals, finches, flickers, goldfinches, grackles, grosbeaks, jays, juncos, nuthatches, redpolls, siskins, sparrows, starlings, titmice, towhees, woodpeckers, wrens and other songbirds. Capacity: 1-1/2 quarts (2 lbs) approx.